A trip with a historic car or a convertible has nothing to do with hurrying or stress. Unhurriedly swerve on the Grossglockner High Alpine Road on a total of 48 km from Fusch-Ferleiten to Heiligenblut or the other way around. An sure high point for automotive fans is the automobile exhibition on the Kaiser-Franz-Josefs-Höhe, the highlight of the alpine road with a direct view of the Grossglockner and Pasterze. Here you’ll encounter the first mobile conquerors of the alpine road dating back to the year 1934 and many other vehicles of historic importance. 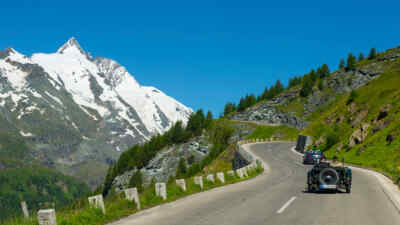 The 96-page enjoyment driver brochure gives you tips for your Glockner drive, gastronomy and accommodation, information about opening hours and tour suggestions for other alpine roads. Take the shuttle bus to the Haus Alpine nature exhibition or the Fuscher Törl, marvel at the rare pre-war vehicles and vintage cars, and cheer on the teams! The annual vintage tractor meeting in Bruck/Fusch with World Championship, also taking place in September, is a bit more rustic but just as varied. For years, 500 tractors from more than ten nations have taken part in this vintage meeting in Austria. 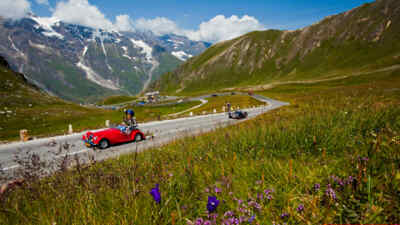 The highlight of the four-day event is the drive on the Grossglockner High Alpine Road from Fusch-Ferleiten to the Fuscher Törl. Visit the event and marvel at brawny machines from Magirus Deutz, Steyr, Land Bulldogs, Hanomag, Fendt and many other legendary manufacturing companies. 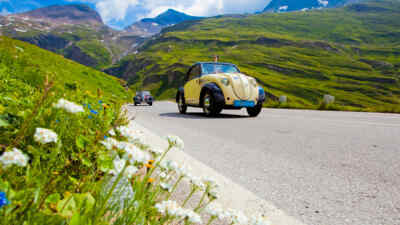 Experience these and many other great vintage events on the Grossglockner: find events, such as the Vespa Alp Days, Saalbach Classic or the Fire Service Vintage World Championships, in the event programme of the Grossglockner High Alpine Road!